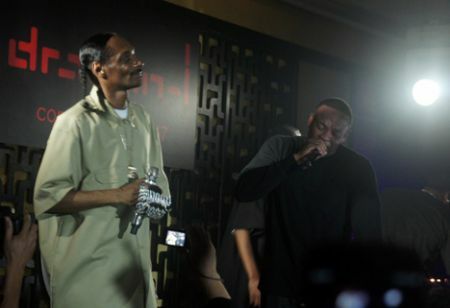 It was technically Thursday morning when Snoop Dogg and Dr. Dre took the stage at Dragon-i. The two Hip Hop legends had never before performed in Hong Kong, and judging from the turnout, an appearance was long overdue. Dragon-i on Wednesday night was not a good place for claustrophobics. Despite the $1200 HKD cover charge, the club was packed literally body-to-body, with people leaning up against strangers. Those who had contemplated dancing, quickly gave up, as there was barely enough room to wiggle. 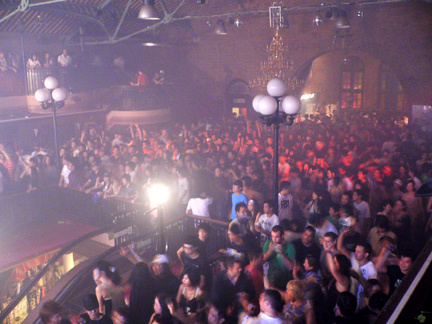 Most of the people jammed into the club had waited for over two hours for the stars to come on. The smart ones didn’t move for fear of losing their position. At a certain point in the night it was impossible to move in or out, and the wait staff risked injury just trying to make their way to tables. After numerous false starts, Snoop finally appeared with his signature sneer and Southern California drawl. 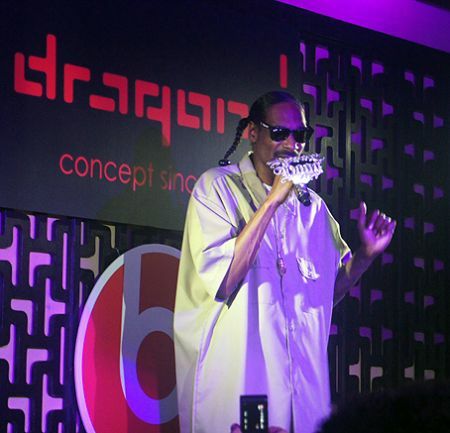 Wielding a blinged-out ‘Snoop Dogg’ microphone, the veteran performer went through several songs, aided by two members of the Dogg Pound. 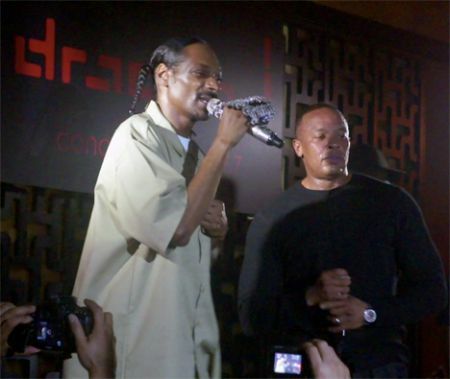 Dr. Dre soon joined Snoop on stage and Dragon-i erupted. The duo went into a long set that included several classics as well as popular newer songs. It’s impressive to count just how many hits they’ve been part of. Half the club seemed to have their phones in the air taking photos and video during the performance. Hong Kong Hustle joined them! 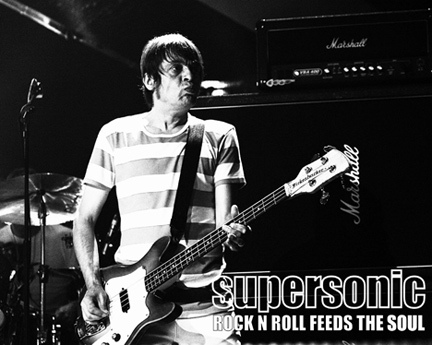 DJ set by Stone Roses / Primal Scream’s bass player! Previous articleAbove Second X Arrested Motion – Friday! Next articleChingy, Fat Joe, and Fabolous – at Cubic! 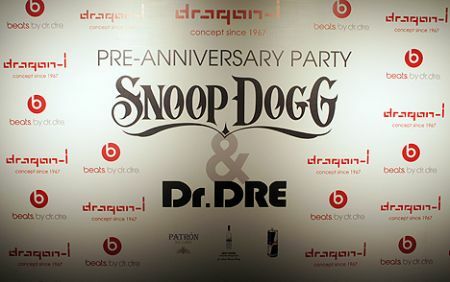 That’s pretty awesome they brought Snoop and Dre to HK. However I have mixed feelings about Dragon-i. I went there several years ago to see DJ Premier (a true hip hop legend) and there were maybe 20 people who knew who he was. They also wouldn’t let me in on another occasion to pick up a friend. Oh well, I guess shorts and flip-flops are a no go there.